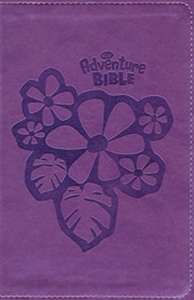 The Adventure Bible for Early Readers takes you on a fun, exciting journey through God’s Word. Along the way you’ll meet all types of people, see all sorts of places, and learn all kinds of things about the Bible. Most importantly, you’ll grow closer in your relationship with God. “Did You Know?” provides interesting facts that help you better understand God’s Word. “Let’s Live It!” include hands-on activities to help you apply biblical truths to your life. “Words to Treasure” highlight great verses to memorize. A Dictionary/concordance for those tricky words. Book Introductions for basic facts about each book of the Bible (who wrote it, where it took place, and why it was written). 20 color pages with games, a scavenger hunt, and other Bible fun, with a jungle safari theme.